Dates: 2 Days - From 10am to 3pm. 26th and 27th of January. What will you achieve? Since your style is unique to your person, this course is not about teaching you a style, but to guide you into the process of of developing your own. 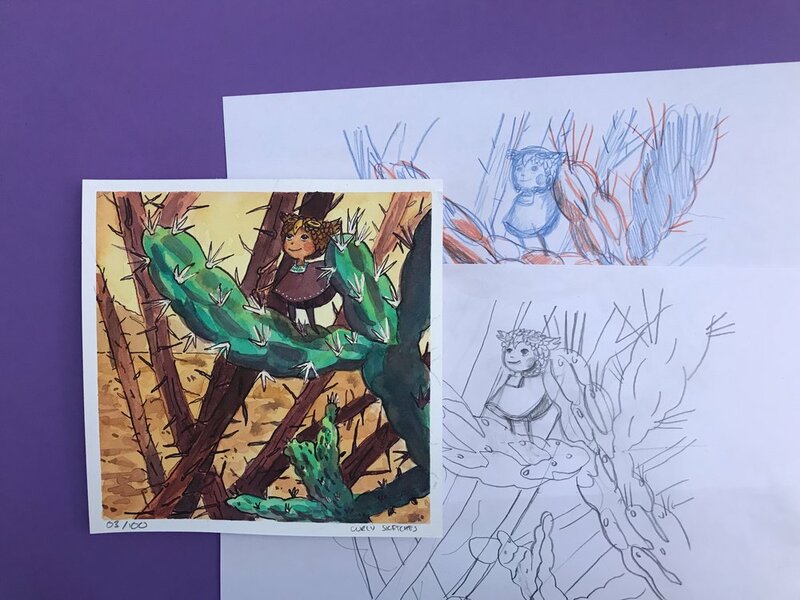 We are following the traditional progression of artistic development - but we’ve added some extra Paper Brush magic to make it fun and easy to follow. You will learn how to: analyse your artistic influences, how to select the right craft to develop, and how to translate this into your style. Teachers: Aafke Mertens (Curly Sketches) and Angela Maria Prevosti. Spots available: 8 max. Course is in English. Our work is constantly developing and being influenced by what we see. 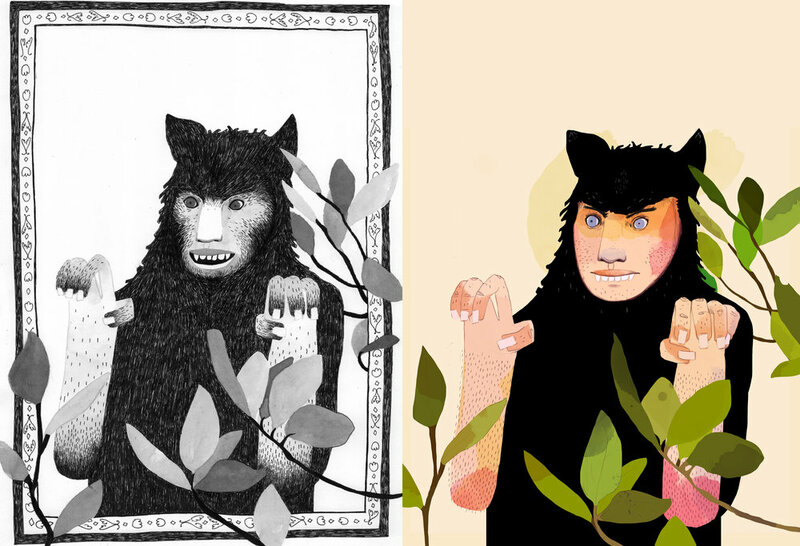 We choose to follow artists or illustrators because of their style; we like the fact that we can always recognise it. Maybe, you have reached a point where you ask yourself: What about my style? Do I have any? Art/illustration is not only about mastering colour mixing or drawing techniques, there’s a mental side where you go into your voice, originality and authenticity. This might all sound like too much, but the good news is: we can all learn to master these extra steps. In this intensive weekend we will guide you to the steps of finding out what makes you excited and how to translate this into your art. You will do research, try out new techniques and learn from your peers in a friendly environment. It's not required to know how to draw, but you do have to be motivated and open to new things! At the end of the weekend, you will have a greater understanding of: your influences, your taste, how to explore other artists and you’ll have a body of work that will show this small journey and will push you to continue at home! The course will take place in Studio 40-D, where Paper Brush Studio is located (at Amsteldijk 40-D). A perfect central location in Amsterdam, easy to reach by public transport. This course will be given by both Angela and Aafke, who will combine their skills and knowledge to guide you on a personal level throughout the weekend. Angela, a Spanish artist and illustrator has a passion for details and watercolour techniques. Her work explores feelings, the human body and nature. 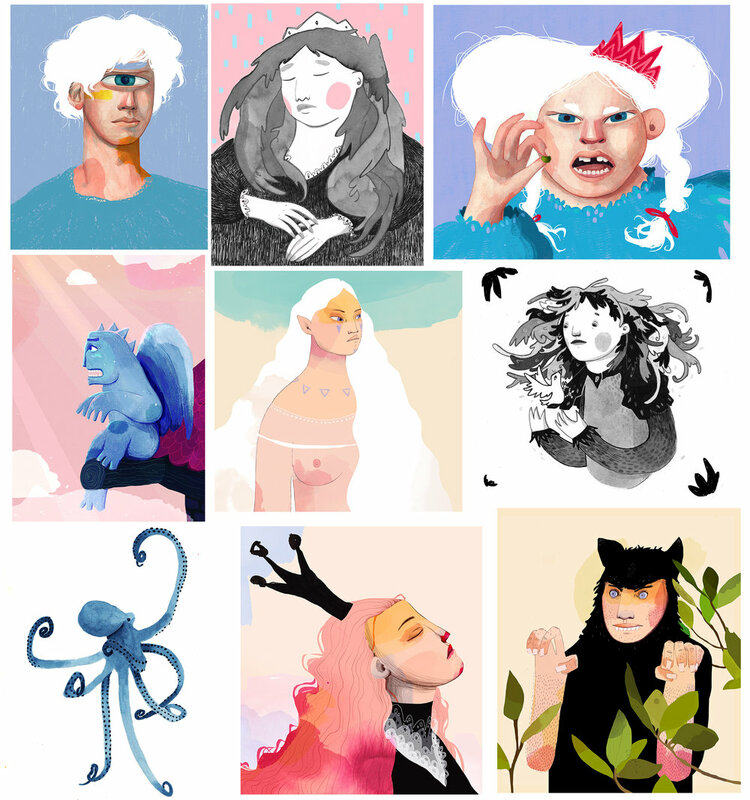 Aafke, a freelance illustrator that makes her living through visual story telling, will energise your work! Her inspirations range from indigenous cultures and animals to daily life events. Don't miss any of our workshops! Sign up with your email address to receive our monthly newsletter with updates join workshops, courses and events! We respect your privacy. Your data wil only be used for the newsletter - we follow GDPR regulations.